Getting a grip of your life is what makes it fundamentally satisfying. You do not just feel happy and successful about living in one but you also become capable of doing more than what you can do, especially for others. That is very much possible because you know that you have more. And even if you are giving too much, you’ll never run out of it for you believe that you are full of blessings. That’s what a rich and a successful man ultimately thinks all the time. But what if you have a scarcity mindset? There, abusing and getting abused by others shakes the world. How does bullying deprive you of your life? Getting bullied roots from thinking that you do not have enough, that you are inferior of others and there is nothing that you can do to stop it. At some point of time, everyone experiences getting bullied. However, there are some that stays in that situation for a very long time, significant enough that they lose self-respect and think of themselves as useless. This mindset keeps them from thinking that whatever they do, they could never do good which slowly digs their grave. Surely, success would never come to them. Instead, they will be dead – the walking zombies, existing but not living, the type that other people are scared of, too. No one would want to work with someone who would likely destroy the whole working environment. No one would ever want to work with someone who, in his pessimism, would also make others dead, that is, make them believe that life is unfair and not worth living for nothing can change anyway no matter how hardworking and enthusiastic one can be. Do you think you are like that walking zombie? When you are alone, what are the thoughts that come into your mind? Do you pity yourself? Do you anguishly wish you are in a different situation? Do you compare yourself with others? Do you feel being unwelcomed by the people you deal with every day? Do you always have to raise your guard every time? Up to what percent of the people around you can you trust? 10%? 20%? 30%? Can’t you trust half of all the people that you know? Indeed, you are a walking zombie. You are not living your life! And, are you bullied? Yes. Directly (where someone is really making you belittle yourself too) or indirectly (where you think the people around you are thinking small of you). Since you think small of yourself, your capabilities become restricted too. You tend to choose things that may save you from fear today but will lose you a progressive future. Since you are not convinced if what you are doing is right, you will always be restless and anxious about what could have happen to you. You will only wish. Hope fades because, in the first place, you do not have courage to push for what you want. In fact, you will avoid opportunities because of the people involved in them that you believe would harm you. Having a scarcity mindset, you will always think the same thing over and over again – “you are no good”; “you can’t do anything about it”. And it will be done according to what you believe. Bullying is terribly bad, isn’t it? Naturally, when you are bullied, you feel the shame from showing up in front of the people. Eventually, in your eyes, they become bullies too because they were responsible in gossiping about what happened to you. Since humans are designed to be intellectual social animals, we get to choose our companions based on, more or less, the satisfaction and security that we can get while other animals naturally stick with their packs which make the whole group responsible in keeping the pack together. When we feel ashamed of ourselves, however, we often feel isolated from the others and they become our enemies too. People make politics even in the smallest of groups. The most powerful and the most influential get the attention and the sympathy. 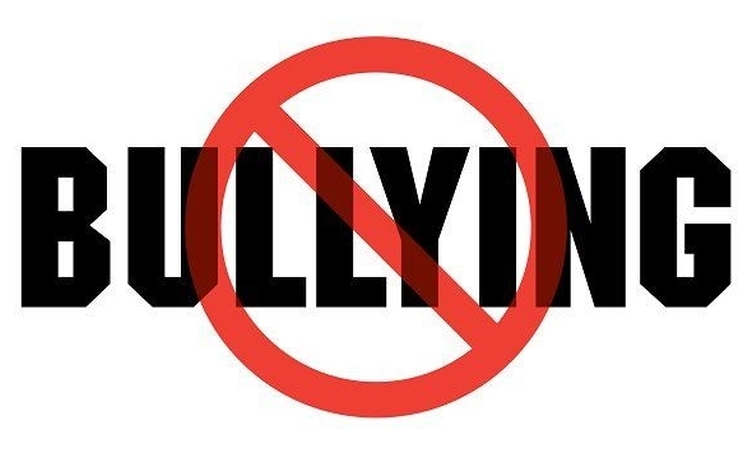 This makes bullies, especially controlling adults, want to bully more for they show power and influence which contributes to larger and wider relationships – relationships that define the quality of life and fulfillment. When other power emerges, it has become natural to cease that power in order to remain supreme. Self-Respect and Freedom: You need it! Bullying, like all the other crimes in the world, could not be stopped easily even with how extreme the sanction could become. The desire for authority and acknowledgement grows more and more especially now with the advent of technology that enables following and getting known accessible and easy. But like all the other crimes, bullying can also be prevented by its counterpart, overflowing love for oneself that is simply manifested in self-respect and freedom. How will you cultivate self-respect? It is when you believe that you have value, that you are also important and that you are also someone worth to be respected because, actually, every single person in the whole universe is worthy of respect, no matter who he is. You too, no matter who you are, what you have done, what you think you are capable, you are someone who is to be respected. Respect is fundamental in every human soul. Some people misjudged respect for gaining authority and influence which necessitates them to get advantage of others. But a genuine respect for yourself elevates your dignity which makes you stand up for others because you know how you should be treated, fairly and humanely. When you truly respect yourself, you would acknowledge the things that could harm you which you would not do, including getting back at others, for you know that doing so will not benefit you, instead, you might even get yourself caught up in a long time battle for which there is no option for satisfactory win. Respect begets respect, just as the adage says. When you show that you are someone worthy of respect, others will easily see that and respect you in return. They know that you understand them and that you are willing to make compensations whenever they are needed. They also know what you like and what you do not like and, of course, they will not do anything that will displease you and will lose your trust in them since they could see that you have confidence in yourself and that you can push whatever you wish for. Only when you show respect for yourself, which will also make you believe in your capabilities, will you find freedom – freedom to pursue your wants, your wishes, or your hopes without being afraid of the harm that others can do to you. With freedom comes peace and satisfaction because you can completely fulfill what your heart desires and act according to the purpose, the meaning of your life. You can live your life fully because you become free to love the things and the people that you wanted to surround with in your life. Even when you cannot change the bullies, at least you can change yourself from being bullied to being someone who can sympathize and who can truly care for others without sustaining for their being abusive or being abused. Love is still the determinant of freedom. Freedom does not mean neglecting the concerns of others because you are free to do so, especially when it doesn’t concern you. Freedom means taking care of the concern of others because you know that you can continue to do so even when they think ill of you. Freedom is breaking free from the binds of getting hurt when others do not care for you. Freedom is an indication that the goodness and love can flow from you continuously because you are full of them. When others could see that you are free and you are never shaken by anything, you would be someone they would look up to. Now that is really very promising. Turn your life in the other way around.